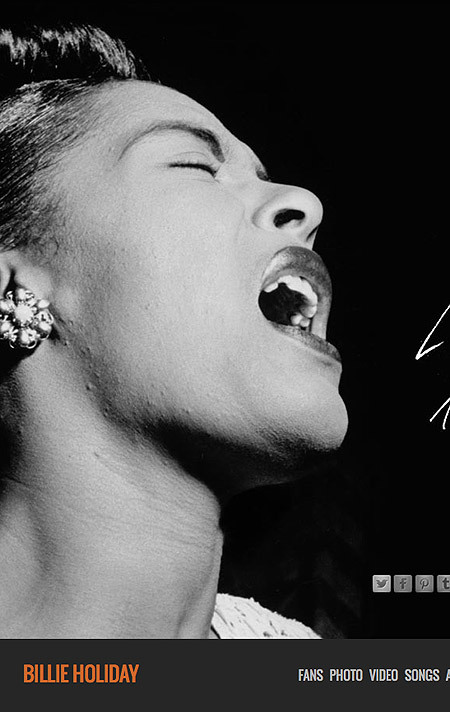 Long neglected, the Official Billie Holiday website has finally received the makeover it deserves. And what an honor to be asked to preside over the reconstruction. The new website acts not only as an information archive for her recordings, it also serves as hub for a robust network of Billie Holiday social media.